We also have Boulder, CO Retreats in Boulder 2018 (registration is open). Trail Running – Beautiful guided trail runs over iconic trails in the Santa Monica Mountains. Mindfulness – Mindfulness Training and materials. Meals – Delicious, healthy, local, organic meals are included in the registration fee. Event Transportation – Transportation from host hotel to events during the event weekend. Sponsor Swag – Check out the awesome products here! Travel to and from host hotel for retreat weekend. Enjoy running and meditating at both the beach and the mountains at the beautiful Malibu Country Inn. Call 310.457.9622 to reserve your room. All rooms have been blocked for us so make sure to mention the “Run Mindful” room block. Southern California is a more expensive location for lodging but the beautiful scenery is worth every cent and the perfect backdrop to enjoy living mindfully while running and meditating. 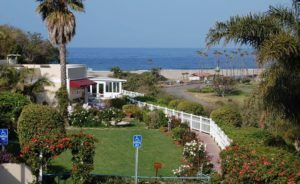 The Malibu Country Inn is in a beautiful location, just a couple minute walk from the beach where you can enjoy meditating in the sand while looking out at the ocean. Each room has its own balcony for you to take time for yourself in the fresh air and sunshine. With the ocean in one direction and the beautiful Santa Monica mountains full of trails to explore in the other, this will be an unforgettable place to visit. Interested in Sharing a Room? Email us at runmindfulretreats@gmail.com if you are interested in sharing a room with another participant. In the email, please share a little about yourself – name, gender, where you’re from, contact information, dates of lodging – and we will email the group to see if anyone is interested. The retreat will be held at our host hotel, the Malibu Country Inn, and Zuma Beach. We will be running on the beach and in the Santa Monica Mountains. Meals are included and will be catered by Real Athlete’s Diets (RAD) of Boulder, CO.
RAD knows using the best ingredients matters, so they use locally grown, organic produce and protein whenever possible to create their dishes. They specialize in creating delicious, healthy food and delivers it to you, making it easy to eat the right kind of food to help you get the most out of your sport (or life). Here are some sample menus & pictures from previous retreats. 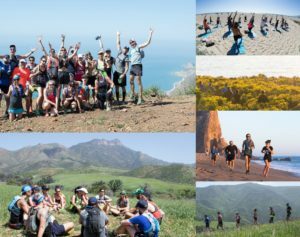 Run Mindful Retreats are put on by Professional Ultra Runner Timothy Olson, Krista Olson and Debbie Loomis to share the love they have for trail running, mindfulness, nature, travel and community. 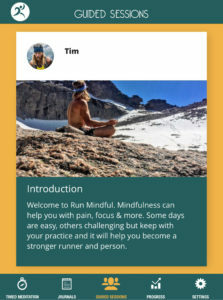 Read more about the Run Mindful Team here. All purchases are final and your registration cannot be cancelled or transferred. In the event that you are unable to attend, please email us. If we can fill your spot, we will refund your registration minus $150 administration fees. No refunds will be given if canceled within two weeks of your registered retreat start date. 1. What ability of running / hiking is needed? The retreat is directed towards runners and hikers of all ability levels. We will be running / hiking with opportunities for up to 1-5 hours each day. You will be able to shorten the routes to a level you are comfortable with each day. We will have shorter or optional rest days. The routes will be 90% trail, in the mountains with significant ascents and descents. 2. I am not a fast runner will I be able to keep up with the pace? Yes. We will have three group leaders and welcome hikers as well as all levels of runners. 3. I’ve never meditated before and I’m not sure I am capable of sitting still. Is that okay? Yes! This is an introductory guide to mindfulness and meditation.The mindfulness workshops will be open to participants with no experience of mindfulness. It will be very approachable and hands on. For participant with mindfulness experience, it will be a great opportunity to grow your mindfulness practice. 4. Do I need to stay at the host hotel? No – but you will need to get yourself to and from Host Hotel for activities. 5. Can you accommodate special dietary needs? Yes – we accommodate special dietary needs. When you register we have a question asking about your dietary needs. You should state what your needs are. For example: Vegan, Paleo, No Dairy, etc. and we will provide the appropriate food for you. Run Mindful Retreats is an event of Adventure Mindful, LLC. Run Mindful is a part of Adventure Mindful and will be expanding into other outdoor activities in the near future. Questions? Email us at runmindfulretreats@gmail.com.